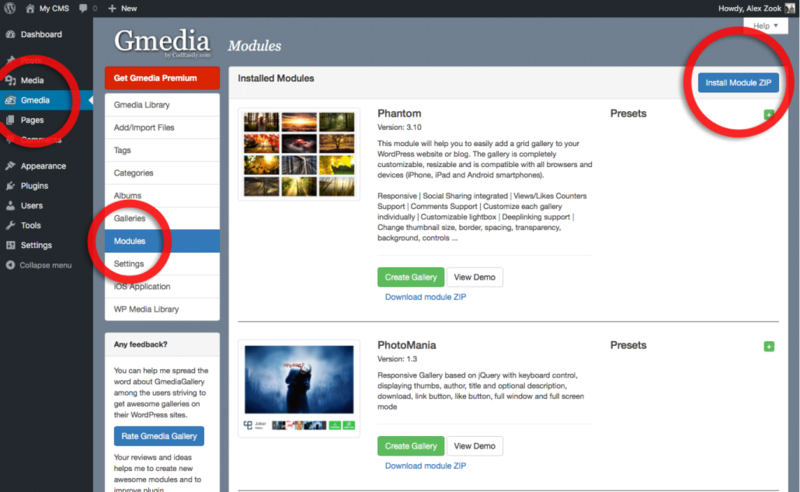 Now you need to click on Install Module ZIP button that you see on the right side of the screen in order to add module to the Gmedia Modules List from your computer. This will open the Gmedia Module uploader. And then You need to click on the Choose File button and select module ZIP file. After click Install button. 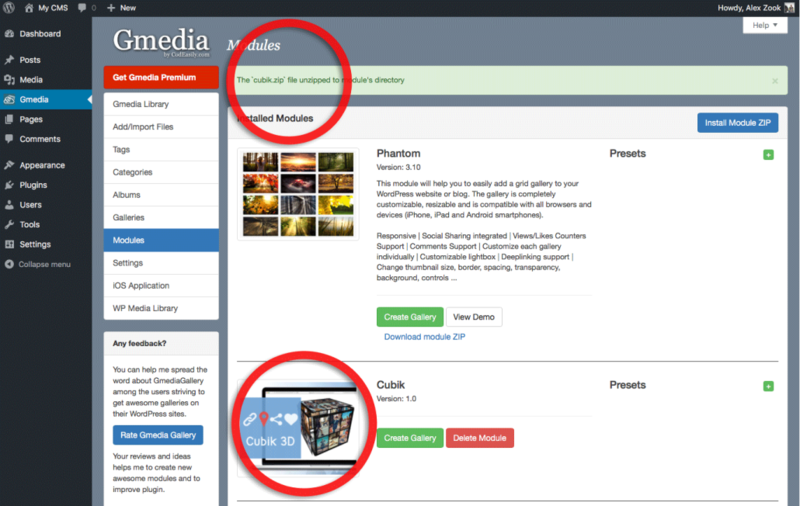 Once activated you’ll see a success message in the WordPress Admin > Gmedia > Modules screen indicating new module is now available on your site!